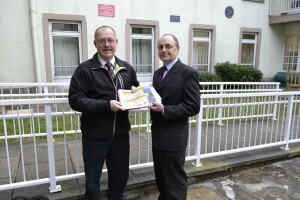 Gwynedd Council leads the way with road safety | News by Wales Express News, People Before Profit! A road safety campaign aimed at cutting the number of motorcyclists seriously injured or killed in Gwynedd has been hailed as a success, and is set to be used as a blue-print for similar campaigns in Gwynedd and by other local authorities. According to collision statistics gathered over recent years, motorcyclists are among the road users most likely to be involved in serious traffic accidents here in Gwynedd, and the A494 between Bala and Druids has been identified as a specific black-spot. 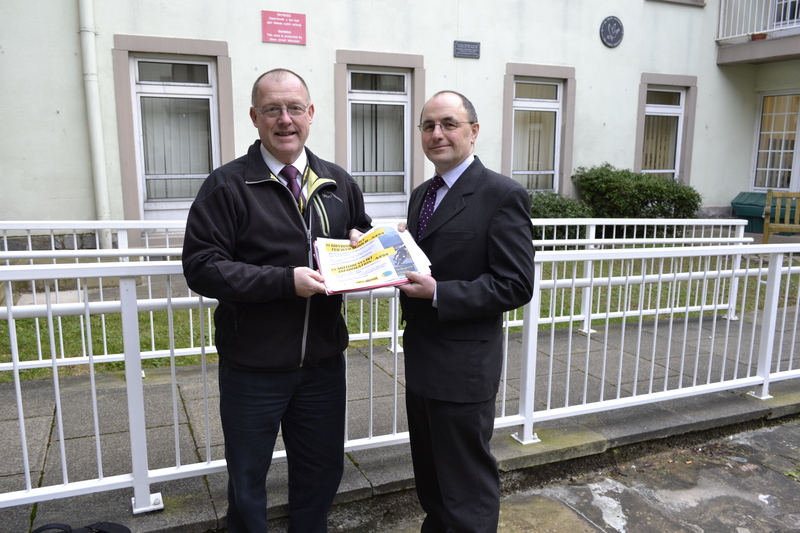 Gwynedd Council leads the way with road safety – Colin Jones, the Council’s Road Safety Manager, with Gwynedd Cabinet Member for road safety matters, Councillor Dafydd Meurig. A partnership between Gwynedd Council, the emergency services, the Trunk Road Agency, the National Park and the Welsh Government was formed aimed at reducing casualties involving motorcyclists by focusing on this particular stretch of road and using the Welsh Government’s Road Safety Framework as a guide for the project. Councillor Dafydd Meurig, Gwynedd Council’s Cabinet Member responsible for road safety, said: “During 2011, motorcyclists made up 39% of those either killed or seriously injured in road traffic collisions on Welsh roads though they only represent about one per cent of road traffic. I think most people would agree that the tragic deaths or life changing injuries are shocking. “Whilst a diverse range of motorcyclists are involved in collisions, a disproportionate number of these casualties are men, riding on rural roads in the summer months. To achieve the significant improvement we want, it is important that we and our partners target this group. “We should also take into account the financial repercussions of serious collisions – it can cost the public purse up to £1.7 million to deal with the effects of fatal road collisions, for example the costs by the emergency services, clearing away the debris, investigating the cause of the accident, court and coroner costs. Road improvements on the A494, including altering the road profile and installing warning signs, funded by the Welsh Government. Colin Jones, Gwynedd Council’s Road Safety Manager, added: “We were delighted when the funding bid for £350,000 was approved by the Welsh Government to allow the Trunk Road Agency to carry out improvements on the A494. Gwynedd Council and its partners hope to apply the same principals to tackling motorcycle collisions on other routes in the region and the project will be used as an example of best practice for other local authorities across Wales.